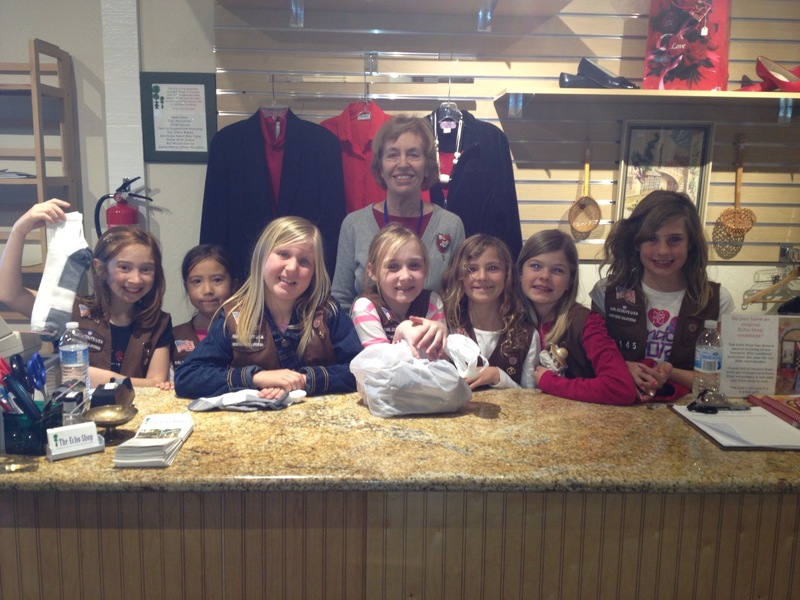 Brownie Troop 62415 from Marshall Lane visited the Echo Shop on February 13th. The girls each brought a donation for the shop and learned how the business runs, where our proceeds go and the people we help. They were good customers as well as donors! The Echo Shop lends support to nine different agencies annually and a handful of others on a one time basis. We have been in business over 50 years and have contributed almost $2 million to outreach programs in Santa Clara county and beyond. thank you for thinking of the Echo Shop.